If you’re in sales or marketing, it is imperative that you read this blog post. It might be the most important thing that you’ve read this year. Why? Because it can save your time, your career, your reputation. Sales and marketing – as we know it – is experiencing a massive change. Missing the wave of change means you risk losing everything you’ve built for your career – it means you could go extinct. Our world has become flooded with promotional offerings from every channel. Every day, people will see approximately 5,000 ads: billboards, pop-ups, snail mail, radio ads, SMS messages, phone calls – and of course, emails. 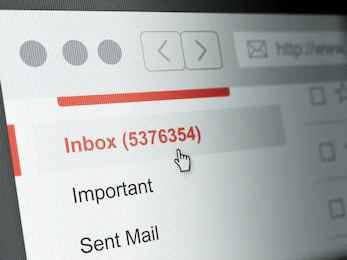 People will send and receive 281 billion emails per day in 2018. Companies may spend $12,000 or more per year on email marketing campaigns alone. 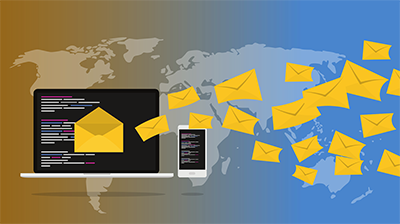 In the United States, email marketing spending totaled 2.8 billion dollars in 2018, and is expected to rise to 3.1 billion dollars in 2019. Email marketing is about volume: send thousands of emails, for free, each day, and even if you only get 1 or 2 responses, you’re still making $44 for every $1 you spend on email marketing. But this ROI has shocking diminishing returns. You may still be bringing in money with emails, but you’re bringing in less than you used to. And that number will continue to descend. Phone calling also has staggering statistics as well. Did you know that it takes an average of 8 cold call attempts to reach a prospect? And 80% of sales require 5 follow-up calls after the meeting. It is sad to report that 44% of salespeople give up after the first follow-up. Ultimately: If you’re still sending text emails and dropping phone calls to the people you want to do business with, you’re going to go extinct! We live in an attention economy: “consumer attention” is the most valuable commodity. The companies that can capture it see the greatest sales growth. But sending emails is not efficient in an attention economy; they no longer capture attention, meaning they no longer make money like they should. Over the last 6 months, we at Dubb conducted an in-depth study of over 10 Terabytes of data and tens of thousands of survey responses. What we discovered was staggering data that pertains to the sustainability of traditional sales and marketing efforts. Response rates are decreasing, hovering somewhere between 6 to 12%. Emails are associated with scams and spam. This association means your company is in danger of going extinct if you rely on traditional text email marketing. It has become impossible to decipher signals from the noise, the trustworthy from the unsavory and the valuable from the pointless. As a result, consumers’ guards are up. Their blinders are on. They’re desensitized and effectively shut off from receiving the vast majority of the messages we send. If you’re in a sales profession, you probably spend a good portion of your time posting on social media, sending emails, calling people, and meeting people. All for the simple intention of trying to get people’s attention and offer something to improve their life. And chances are you’re probably frustrated by the lack of responses and engagement to your traditional sales efforts. But if you’re still using text email marketing, your frustration will only get worse. Do you really want your hard work associated with “scams and spam”? Maybe it’s free to send emails, but it’s hurting your company’s reputation, which will lose you billions in the long run. To build trust with consumers, to thrive in an attention economy, to save billions in the long run, and use time more efficiently – with video. The human brain is incredibly active when watching videos. Using Functional Magnetic Resonance Imaging (fMRI) machines, Joy Hirsch, Director of fMRI Research at Columbia University Medical Center, found that multiple cortexes and lobes light up and work together when watching videos in a “complex and coordinated effort”. The lit areas are mainly in the right hemisphere: emotional response, short-term memory, empathy, visual comprehension. 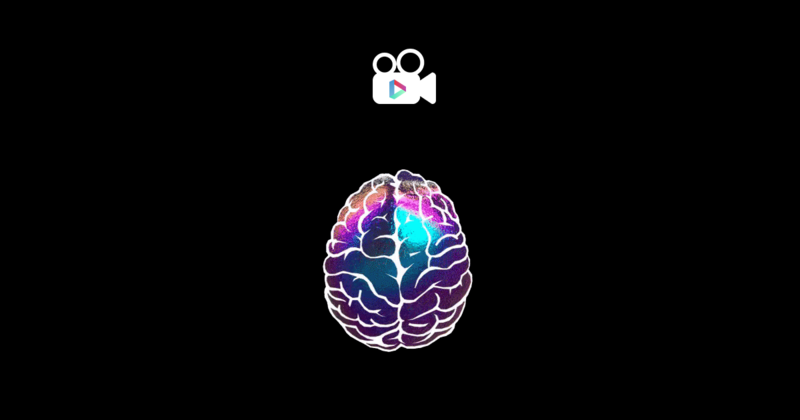 According to a research study for the academic journal Media Psychology, there’s frontal lobe activation by executive processes and episodic memory encoding – in short, when viewers watch videos, they make decisions faster and remember more. Frequent redirection of visuals – scene changes – engage the mind, much more than unchanging text. The brain is working faster to keep up with subtext, subtleties, complex plots, or rapid fire information. When it works faster, it pays more attention (and reminder: this is an attention economy). Of course, reading comprehension is still essential. But if you, as a marketer, are going to rely on text and reading, you’ll need to be an expert writer to cut through the noise. And even then, there’s no guarantee that consumers will pay attention – because they mostly skim. 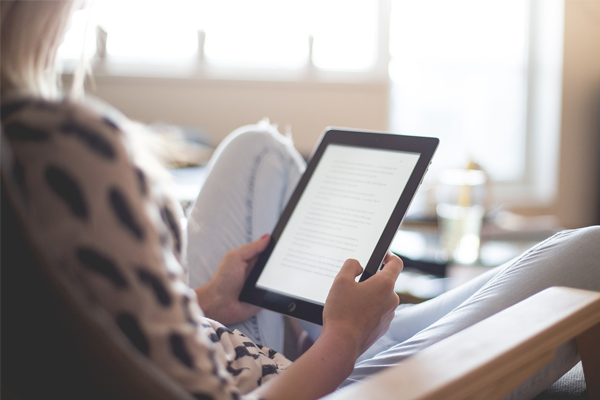 Hard truth, writers: people aren’t reading your work. Not the way you want them to. You may be wasting your time and money on text-heavy campaigns. People today skim and scan. In fact, according to cognitive scientists, “Humans…seem to be developing digital brains with new circuits for skimming through the torrent of information online”. People skim and scan now, not read. It’s difficult for the general population to fully process text information. With changing technology and communication, our brains don’t slow down enough to read text; but fast visuals can keep up. People learn better when watching videos: according to a research study, a combination of hearing and seeing is best for comprehension; then seeing only; then hearing only. Integrating text is useful, but text-heavy makes the eye skim. This better learning is because visuals create a story. Our brains respond best to storytelling. The frontal lobes are the most active when people watch a video that has a narrative or appeals to them on a personal level. List of facts? Bullet points? The brain switches to skimming mode. When facts are integrated with visuals – like an infographic – the brain pays more attention. But it pays even more attention with videos. And it pays the most attention with narrative videos. Videos are more likely to be stories than text – they build narrative. When we hear or watch stories, the experience part of the brain lights up – i.e., we believe we are experiencing the story as we’re hearing it. The brain processes it as real until we tell it, “this isn’t real”. This doesn’t mean you have to craft a plot or characters for your videos. But the combination of movement, voice, music, visuals naturally build a story and capture viewers. Visuals also increase empathy – the viewer relates their personal lives to visuals, much more than when they read about someone else’s life. If they see kids playing, they remember when they were children. If they see someone eating a hamburger, they remember when they did, or crave one. You’re digging your company’s grave by relying on traditional text email marketing. You are outdated, and you are wasting time. You will save yourself an immeasurable amount of frustration and failure in the long run if you turn to video in this attention economy. You don’t need an enormous budget. You don’t need to go to film school. You don’t even need any training or special equipment. Modern technology allows anyone to create highly personal engaging videos. All it takes is a Smartphone or webcam, and the desire to be highly effective in sales or marketing. With those few things and the right software, virtually anyone can begin to create and share purposeful, effective videos with powerful features designed to elicit a response from anyone who receives them. 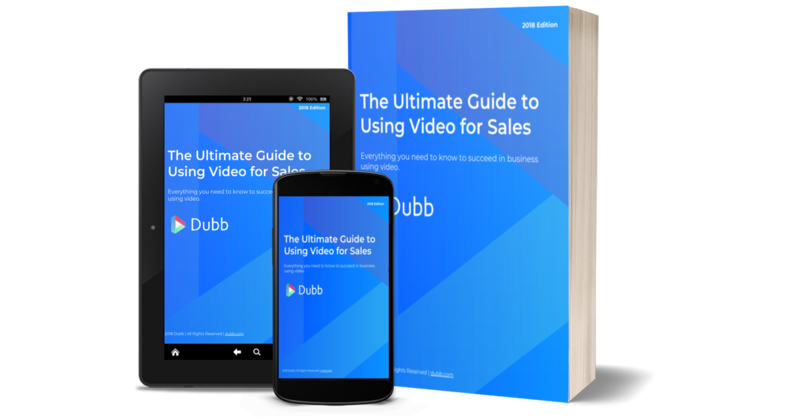 The Dubb team has made it their mission to create the world’s most easy-to-use and effective video communication platform. If you’re interested in a free 14-day trial click here.